Glad to inform you that Hotforex Win One More Award for providing best-in-class customer service to its clients. For the second time in 2015, European CEO, the leading European financial magazine, recognized for commitment to providing what clients look for most in a forex broker: outstanding customer service. 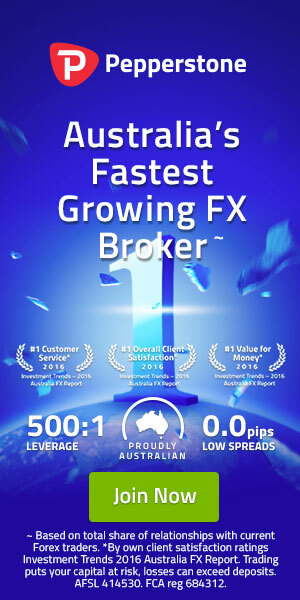 As a market leader known for providing superior customer service, Hotforex heavily invest in a customer service model that regards the client as a highly valued asset, offering customer base bespoke and responsive support, 24/5 in more than 22 languages. Maybe you are an exciting client of Hotforex or maybe involved with others broker. Always we are looking for a good broker to be ensured about our fund safety. Hotforex is one of the leading broker in the forex market, they are forex regulated broker and growing up very fast. Before invest our pocket money to any broker, we must need to know about broker’s performance and security. Lot of brokers are here to cheat with trader’s money and they are scamming with traders with verities false issues. So, choose one of the best broker and put your money and get mind satisfaction while you are trading with your pocket money. If you like to start your forex trading with this leading and multi award winning broker, you are most welcome to join. They have lot of offers for all type of client’s. If you are big investor or small investor, that does not matter, you are an honorable person to them and they decorated their platform for all of you. Here I am giving a small briefing about their account types and related options. There is no commission for your transaction with Hotforex. You can deposit and withdrawal any amount without any commission. No hidden fees. I am active client with them and enjoying this opportunity for my transactions. You can use Neteller, Skrill, Webmoney, Visa, Visa Electron, Mastercard, Fasapay, Paysafe card, Bank wire and more. Micro Account: Spreads: From 1 pip, 5 digit account, Leverage 1:1000, Minimum opening deposit $5, Minimum lot and step 0.01, No commission, Flexible bonus offer and swap free option. Premium Account: Spreads: From 1 pip, 5 digit, Leverage 1:400, Minimum opening deposit $500, Minimum trade size and step 0.01, No commission, Personal Manager, flexible Bonus Offer. ZERO Spread Account: Spreads: From 0 on Forex, 5 digit, Leverage 1:200, Minimum lot and step 0.01, Personal Account Manager, Limit and Stop Levels: Starting from 2 pips, Commission: USD: $4 per 100,000 traded ($8 round-turn) on Majors. Currenex Account: Spreads: From 0.2 pips, 5 digit, Leverage: 1:400, Minimum opening deposit USD $500, Minimum trade size and step: 0.01 lot, Personal Account Manager, Commission: $5.00 per Lot Traded ($10 round turn) / Euros 3.46 per Lot Traded (Euros 6.93 round turn) / zł 17.5 per Lot Traded (zł 35 round turn), Flexible bonus offer. FIX Account Details: Spreads: Fixed for Forex, Max leverage: 1:400, Minimum opening deposit: $500 Minimum trade size and step: 0.01 lot, Personal Account Manager, No commission, Flexible Bonus Offer. VIP Account: Spreads: From 0.2 pips, 5 digit, Max leverage: 1:300, Minimum opening deposit: $10,000 / € 9,000, Minimum trade size: 0.1 lots (10,000 units of base currency) and Trade size step / increment: 0.01, Personal Account Manager, Commission: $6/€5 per round-turn standard lot, No bonus. Note: Also they have Auto Account (For copy trade), Hotforex Social Account. Now have a look from the below image table, why you should select this broker for your forex trading. Stay away from scam brokers, start work with stable and trust-able broker, keep safe your investment and make profit without any restrictions. Brilliant traders always choose the right platform to apply their profitable strategy to earn money from forex. Thanks to stay connected with Pip2Pips. Wish you all the best and have a nice trading. December 2017 Hollywood New Movies List. Watch or download full length movies from our best Hollywood mvies site. Just click on the poster and get the full movie link.